For a house to be considered complete, there are a few essentials that must be available. It needs a beautiful bedroom, a functioning climate control unit, a decent living room and perhaps a nice backyard. 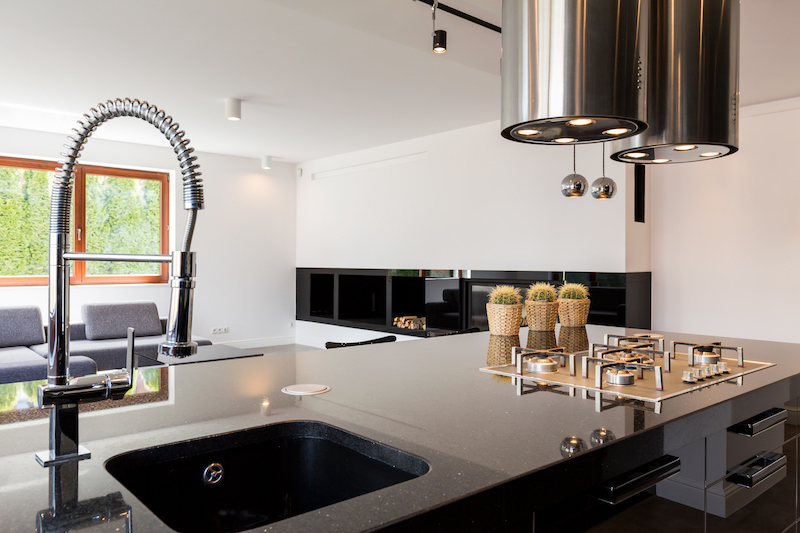 However, what is it that makes a home more important and complete than a beautiful kitchen? The kitchen is where your day starts and ends. Simply put, the kitchen is arguably the most important part of your home. This is why you always want your kitchen to be as perfect as possible. Cabinets make up a big part of the visual aspect of a kitchen and therefore requires heavy investment for a grand kitchen. They are the major focal point of this important room. There have been significant improvements in the world of kitchen cabinets in the last few years, and homeowners may find it quite difficult to choose the best cabinet that suits their individual needs. There are many things to take into account and without professional guidance, you are likely to make a mistake or two. 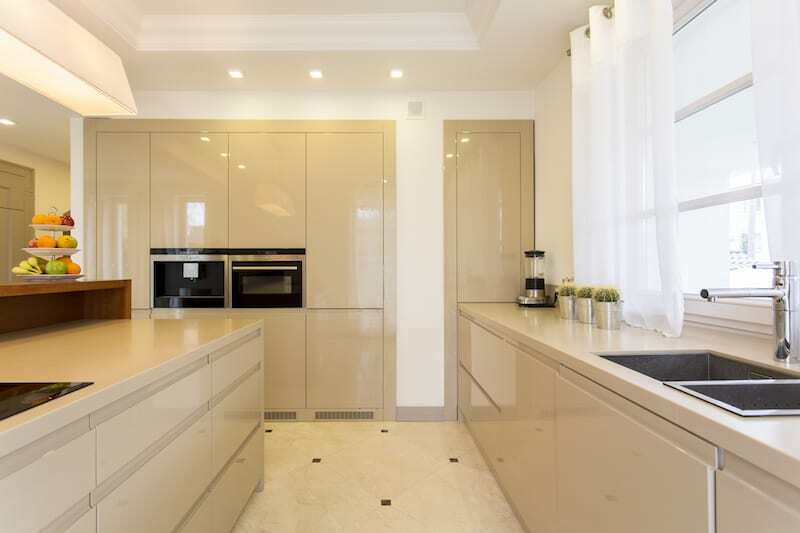 Whether you are seeking the right cabinet for your new kitchen or kitchen remodelling, below are some of the essential factors to take into account when choosing your next kitchen cabinetry. It is important to note that homeowners should not make this decision based on aesthetics alone. Instead, you must also take into account your storage requirement and budget. For instance, if you have a large family to feed and have more kitchenware to take care of, you’ll probably need relatively large cabinets. Depth, height as well as shelving options will all come into consideration. For enhanced functionality, you can opt for high-end cabinets that feature pull-out shelves which are not only easy to use but beautiful and stylish as well. Your budget equally plays a huge role when it comes to choosing the best cabinets for you. Kitchen cabinets are currently available at all price points. So before even contacting your contractor, sit down, evaluate your options and come up with the absolute maximum, you can spend on your project. Cabinets are trendy objects and every season, there will always be new styles and designs. This implies that you would want to have a design that incorporates current trends, durability and functionality. This is especially important if you intend to put your new remodelling home on the market. In the world of real estate, the kitchen is the room which can make or break a sale. Due diligence should guide you toward exploring the current trends that fit the bill. There are possibly endless options when it comes to styles and the overall layout of your cabinets. Some of the most popular styles are contemporary, traditional transitional and modern cabinets. The colour and finish are equally important factors. Solid wood, paint and laminate are just a few examples of finishes currently available. Your choice of colour and finish should probably reflect your personal touch and should equally complement the colour of other materials inside your kitchen, such as the flooring and countertops. What’s more, the cabinet face is also a critical consideration. Do you want frameless or framed cabinets? In this regard, framed cabinets often assume a more traditional look whereas their frameless counterparts are often described as the ultimate European style. Other than the aesthetic, perhaps the huge difference between these two options is that the framed cabinets feature more space between the drawers and doors. Another piece of advice when choosing the cabinet design is that you should not forget to blend aesthetics and functionality. Make sure that your cabinets offer the much-needed functionality. You need to take into account your storage requirements as well as the type of products you would want to store in them. After all, cabinets are meant for storage. There is a broad range of materials that are used to make kitchen cabinets. 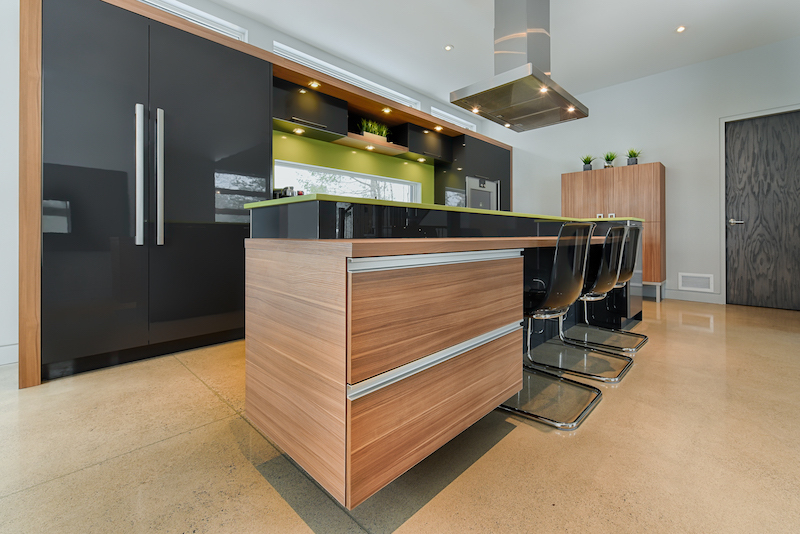 You can choose from timber, melamine, metal as well as stainless steel. In all honesty, solid wood remains the most popular choice. Cherry wood can be a fantastic addition to cabinets with rich dark finishes. If you are seeking a more exotic finish, go for alternative types such as bamboo, anaglade and mahogany. Here is also where the issue of finishing crops up. If you would like to create a natural look, there is no better option than solid wood. The wood can be painted, stained or finished. On the other hand, if you want a glossy look, you can as well choose decorative finishes such as glazing, distressing or crackle. Make sure that the material reflects your kitchen theme and that it does not stand out too much like a sore thumb. Hardware is the jewellery of your kitchen. They provide the finishing touch which can either dress it up or dress it down because they play an important role in making your kitchen look stylish and beautiful. Picking the right hardware to match other parts of the kitchen such as your sink, benchtop and tapware are crucial. Simply put, make sure you select the best handles, knobs and pulls that match with the style of your kitchen. Your kitchen can end up looking out of place if your cabinet finish does not blend with the overall atmosphere. Hardware is equally in a broad range of finishes, styles and colours and you can always find the best combination that suits your preference. 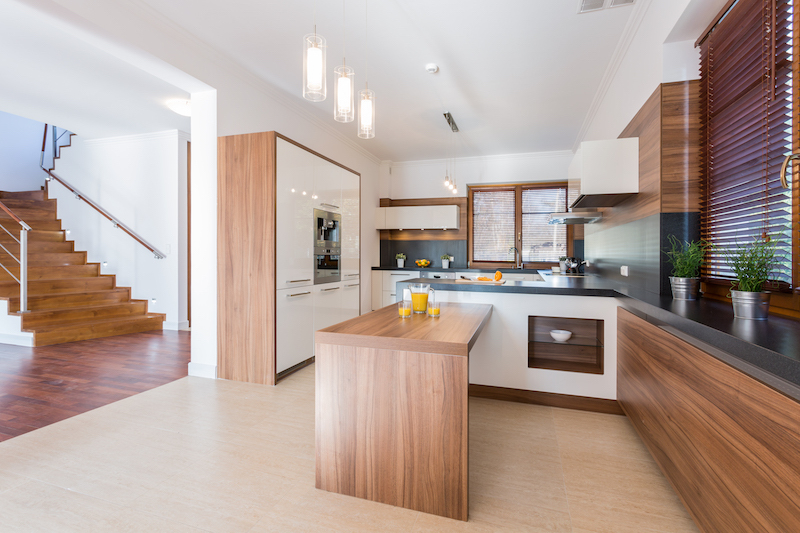 There are many things that you need to consider when renovating your kitchen. Here are the main points that you will need to decide. Here are our kitchen sink design choices for 2019 that you must have for you new kitchen! Your guide to picking the perfect kitchen cabinets to suit your preference!